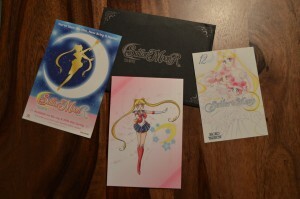 This past Wednesday, March 1st 2017, I was lucky enough to see Sailor Moon R The Movie in theatres. I consider myself lucky for many reasons! For one I was lucky enough to live in a city in which the film was playing but more importantly to me because this was something I’d wanted to do for decades. 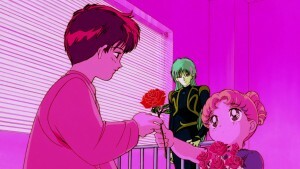 I always hoped I would be able to see this, one of my all time favourite movies, on the big screen but as a Sailor Moon fan in the 90s this never seemed realistic. Because of this I am thankful that Viz Media and Eleven Arts brought this movie to select theatres for these special screenings. A lot of additional showtimes have been added for many Canadian cities. Fans should check out the Cineplex site for more information if they’re looking to watch it or watch it again. I saw the film at South Keys movie theatre in Ottawa. This was the theatre I spent the most time at as a teenager, in the years when I first watched Sailor Moon, as I would see one or two movies a week here for a number of years. There was no end to my nostalgia last night! As I entered the theatre I was given a gift of an envelope with a postcard sized card inside. 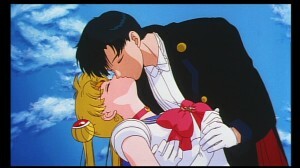 Mine featured Sailor Moon, though there were also some featuring Sailor Mercury, Mars, Jupiter and Venus. This was a nice touch as fans could be heard chatting about who they’d gotten, who they wanted and looking for people to trade. 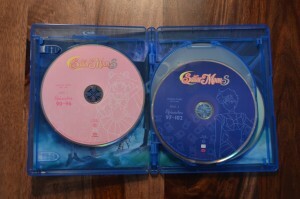 My girlfriend and myself both got Sailor Moon, as did many people around us, which makes me suspect that perhaps these weren’t shuffled or randomized terribly well. The envelope also contained a few ads. 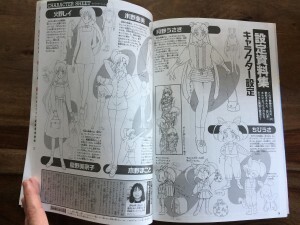 The ad for the manga featured an image of volume 12 of the recent manga release. 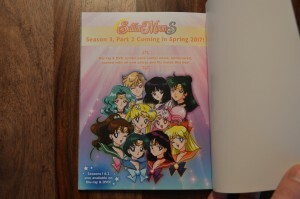 The ad for the Sailor Moon R The Movie home video release also had an ad for the TV series Blu-Ray and DVD releases on the back. The event itself was billed at being 90 minutes long, which didn’t ad up for an hour long movie and short special, but a bonus featurette filled out the time. Before the film the audience was presented with an interview with three of the actors from the film. 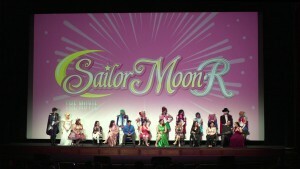 Stephanie Sheh, the voice of Sailor Moon, Robbie Daymond, the voice of Tuxedo Mask, and Ben Diskin, the voice of Fiore, answered questions about the film. One oddity about the interview was that the voice actors called Fiore “Fiole” despite it clearly being pronounced Fiore throughout this English dubbed version of the film. Sure the R and L sound are interchangeable in Japanese but Fiore is the Italian word for flower which seems to be its meaning. Though I’ve seen this film some 50 times the occasional spoilers from this interview didn’t bother me, but I wondered if everyone else in the theatre felt the same. Audience reactions from some twists in the film made me think some of them may not have seen it before. 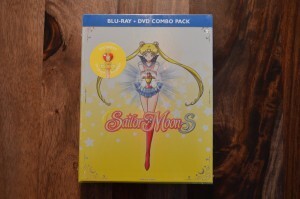 Sailor Moon played on TV a lot back in the 90s here in Canada but the films were released a few years after the theatrical run. Though I’ve seen them play on TV they would have been more readily available to viewers on home video, so it seems likely that more casual fans or those that didn’t follow the show much after it was on TV may not have gone out of their way to see this film before last night. Overall the interview was nice and had some decent insight, but I’m not sure playing it before the feature was the best idea. Next was the “Make Up! 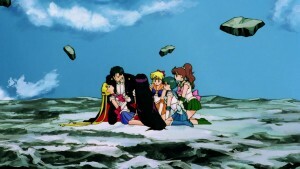 Sailor Guardians” special which originally played with Sailor Moon R The Movie in Japan. 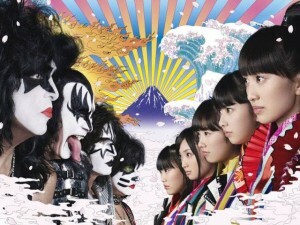 This had not previously been released domestically so it is likely that many fans hadn’t seen it before. I’d seen it on the Japanese DVD release and fan subs so I was familiar with the dialogue and it seemed to be mostly accurate to the dub. 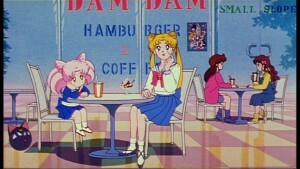 This special is a series of clips from the series featuring the various Sailor Guardians inter spliced with footage of two girls at a cafe who are chatting near Chibiusa and Usagi. It’s funny because Chibiusa is on a poster behind them and they don’t really seem to notice. The quality of this film was great, despite using visuals from the TV series which were never intended to be seen on the big screen. 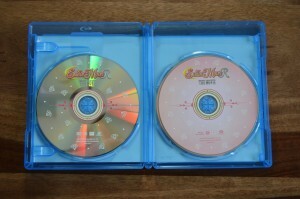 Finally there was the main feature, Sailor Moon R The Movie. 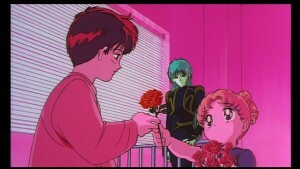 The film itself is fantastic, a story of Mamoru’s childhood friend who’s being manipulated by a magical and evil flower into doing all sorts of terrible thing. 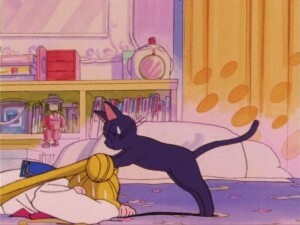 It’s full of action and drama and to me represents the Sailor Moon anime at its finest, keying in on elements which make the show what it is. 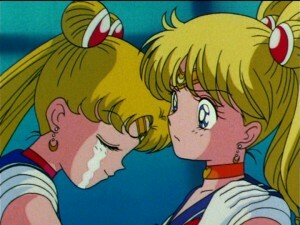 It showcases Usagi’s strength, which is her ability to be a true friend and to save those around her from loneliness. I wasn’t sure what to expect as video quality goes. 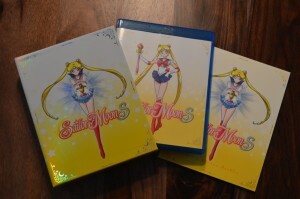 The video releases of the original Sailor Moon series have pretty marginal quality, but this film is nothing like that. The presentation was likely using some sort of HD video projector, likely with a 1080p Blu-Ray equivalent source. 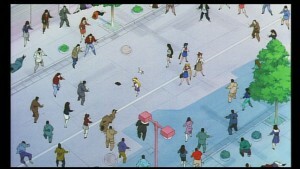 I’ve seen this movie a number of times on the Japanese DVD release, which had previously been the best quality transfer of this film, and the level of detail I could see on the screen was far beyond anything I’d seen before of Sailor Moon. 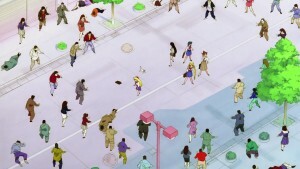 The quality of the lines and small bits of animation showed me detail that was drastically better than the DVD version. 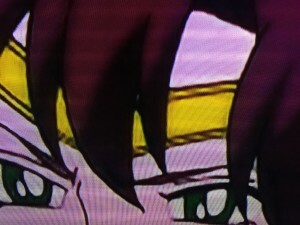 It seems like this was an HD transfer of the original film source that had likely gone through some remastering work as opposed to a software upscale of a standard definition source like we’ve seen for the TV series. This is promising for the Blu-Ray release which is currently planned for April 18th. 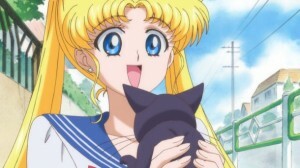 All in all seeing a Sailor Moon movie in theatres was a wonderful experience for a Sailor Moon fan and aside from the volume being a bit loud I though the whole event was handled quite well. 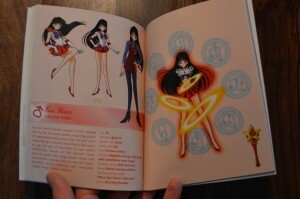 I sincerely hope that there was enough fan interest that Viz and Eleven Arts are planning to do something similar with the Sailor Moon S and SuperS movies. Considering the turn out and extra showings which were added I am optimistic that we will be seeing Human Luna and Perle (Peruru?) on the big screen over the next couple of years. What was your experience like watching the film? 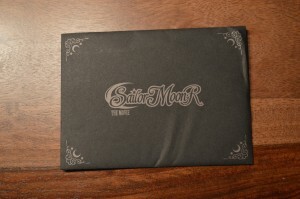 You thought the Japanese Sailor Moon merchandise was expensive? 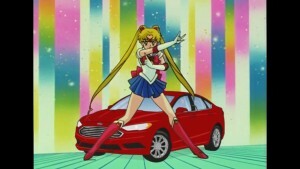 Has your love of Sailor Moon made you buy a car?! 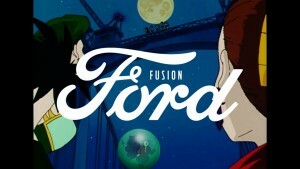 In the latest in Ford’s “Overdubs” ad campaign they have remixed a clip from Sailor Moon to have it look like Usagi and Luna are daydreaming about the Ford Fusion car complete with specs that only a car salesmen would bother quoting. 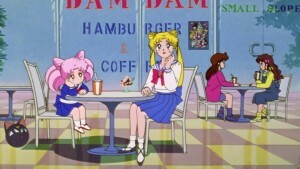 Commercials don’t have credits but it sounds like Stephanie Sheh and Michelle Ruff, the new voices of Usagi and Luna, are reprising their roles here. Watch the clip below! 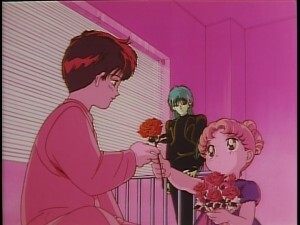 The original clip which was edited here is from episode 13 of the first season. 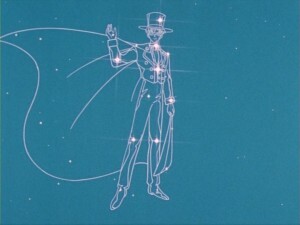 It has Usagi stargazing at the Motoki and Tuxedo Mask constellations. I know what you’re thinking! 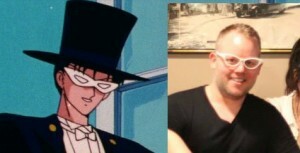 We don’t have Motoki and Tuxedo Mask constellations! 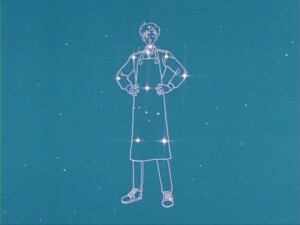 That’s because Japan is more down south than many parts of the US and Canada so they have Motoki and Tuxedo Mask constellations over there. That’s also why they see the rabbit on the Moon and we only see a face. QED. 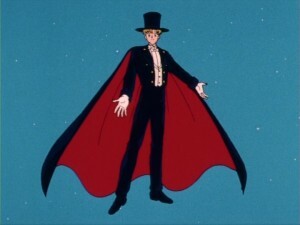 At this point in the series, which is quite early, Usagi imagines that Motoki and Tuxedo Mask are the same person. 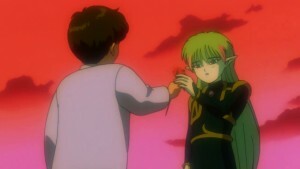 Eventually Jadeite shows up to challenge her, her friends, and most of the city to come fight at the airport. So … will you be buying a Ford Fusion? As much as I’d love to spend my hard earned money on a car that one of my favourite anime characters endorsed I just bought a van because I’m going to need room for a car seat and stroller in April. This weekend is the Chicago Comic and Entertainment Expo at McCormick Place in Chicago. 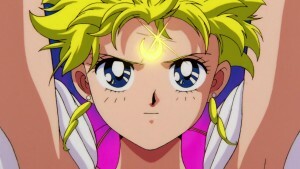 This event will feature an Official Sailor Moon panel hosted by Viz and voice actors from the new dub of the original Sailor Moon anime and Sailor Moon Crystal. 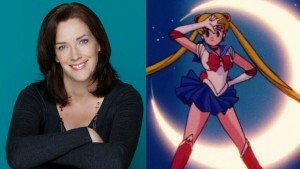 In attendance will be Stephanie Sheh, the voice of Sailor Moon, and Michelle Ruff, the voice of Luna. 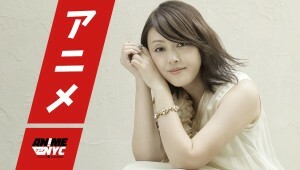 The official panel will be held on Saturday March 19th at 11:30am. 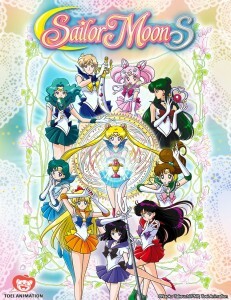 This will be run by Viz Media staff including Charlene Ingram so we may have some news about the dub of Sailor Moon S that we are long overdue to get more information about. This is probably the topic I get the most e-mails and messages about! 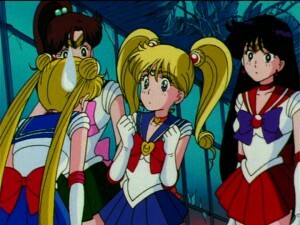 If things proceed as they have in the past we may very well be getting an announcement for a new Moonlight Party, some episodes to be released on Hulu and news about Sailor Moon S on DVD and Blu-Ray. 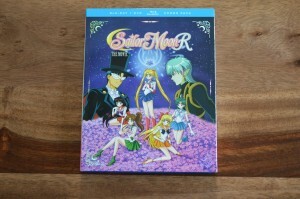 We may also get news about Sailor Moon Crystal’s DVD and Blu-Ray release. This is all speculation of course. Keep checking this site for any significant news that may come from this event. 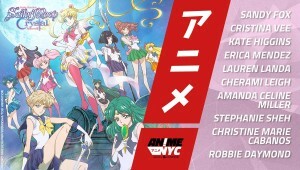 In additional to taking part in the Official Sailor Moon panel Stephanie Sheh and Michelle Ruff will also be holding a panel Bringing Characters to Life – An Hour with Michelle Ruff and Stephanie Sheh on Sunday, March 20th, at 10:45am. Both of the voice actors will also be available to signs autographs Saturday from 1:15pm to 3pm, 5:30pm to 7pm and on Sunday from 2:45pm to 4:30pm. 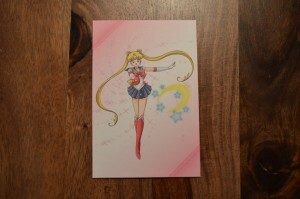 Charlene Ingram, the Viz Media rep who runs all of the Sailor Moon panels and Moonlight Parties, will also be holding the VIZ Media Industry Panel on Saturday, March 19th, at 4:15pm. 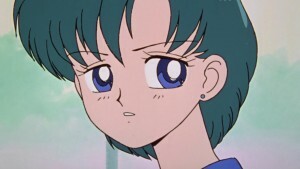 While the important Sailor Moon info will probably be covered earlier in the day at the Sailor Moon panel, Sailor Moon may be covered a bit at this time.